There are a lot of iTunes users out there, but unfortunately you can’t use it with all of your portable devices. 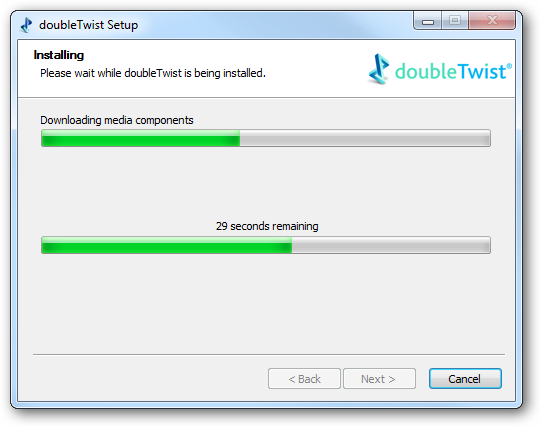 Today we take a look at doubleTwist, which allows you to sync your media with a multitude of portable devices and easily share it as well. 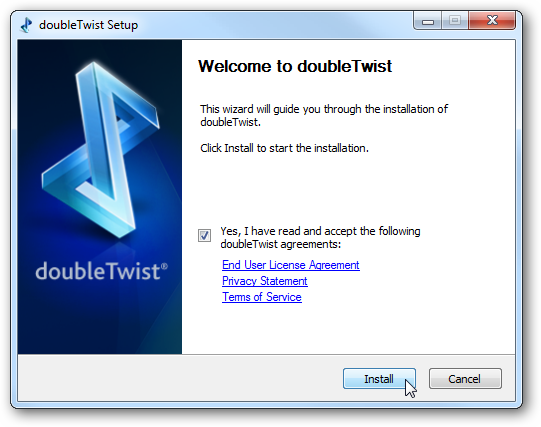 Note: You can run doubleTwist on Windows or Mac, and here we take a look at the Windows version. Installation takes several moments and you’ll see the progress while it finishes up. 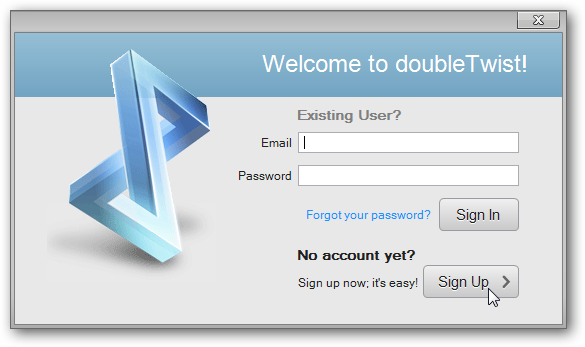 After installation is complete, sign up for an account if you don’t already have one. If you do have an account you can login right away. 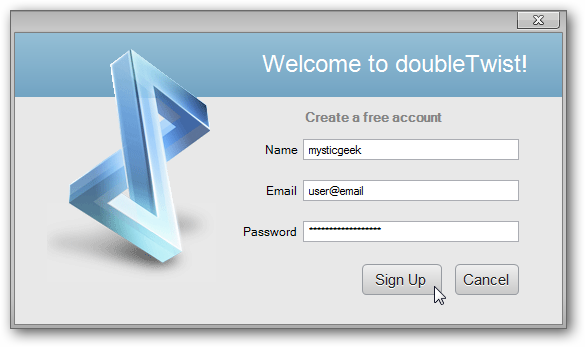 Enter in your username, email address, and password then click Sign Up. You’ll get an confirmation email and need to activate the account before you can sign in. 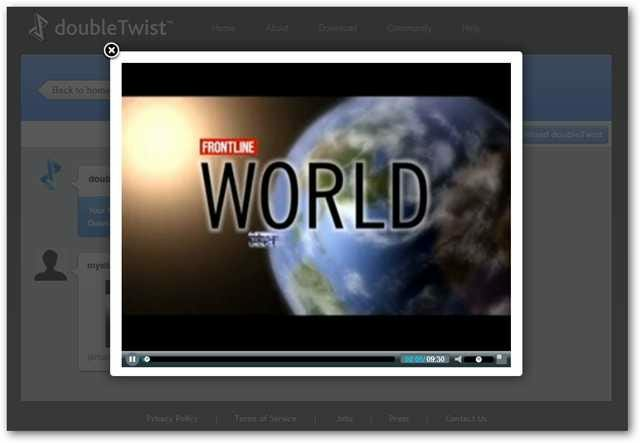 Once you’re all signed up, launch doubleTwist and you’ll be ready to start using it. 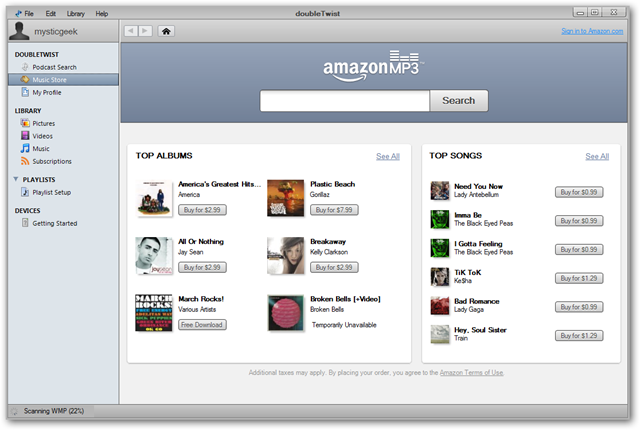 The default music store is Amazon MP3 store which might appeal to those of you who are tired of the iTunes music store. A lot of times the music is cheaper and available at higher bit rates. You can start searching for music in the Amazon Music Store and previewing songs. To purchase anything though you will need to sign into your Amazon account. 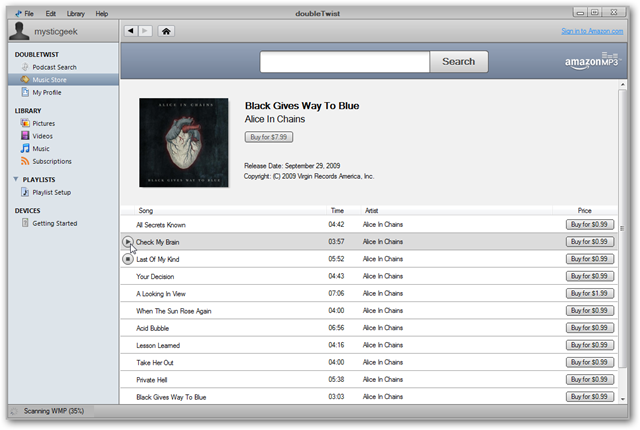 Under Playlists it allows you to import your playlists from iTunes and Windows Media Player, which is a handy feature if you don’t want to set them up again. 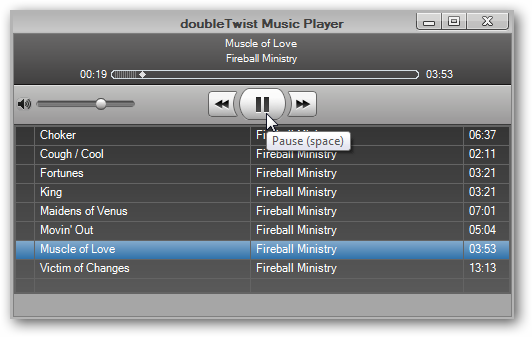 Of course you can play your songs through the music player on your desktop. 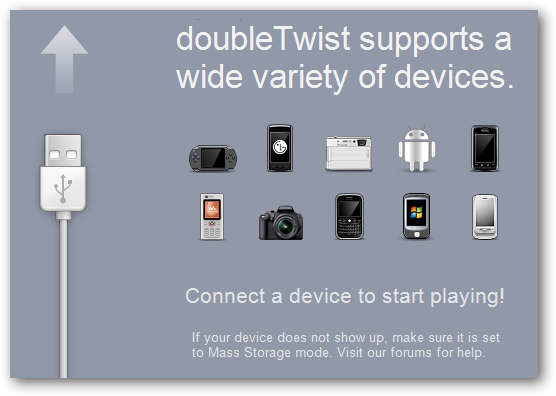 One of the coolest things about doubleTwist is that it supports a lot of different portable media devices including iPod, BlackBerry, Windows Mobile, Android, PSP, Smartphones, and much more. Unfortunately for Zune users…there isn’t any support for the Zune of Zune HD yet. Here we have a Creative Zen attached and can sync songs, pictures, and podcasts. Even a simple USB drive will be recognized and you can transfer your media to it as well. 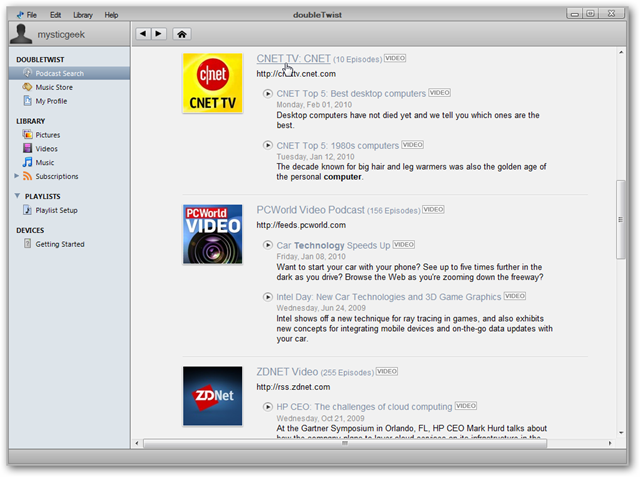 Finding your favorite audio and video podcasts is easy with the search feature. 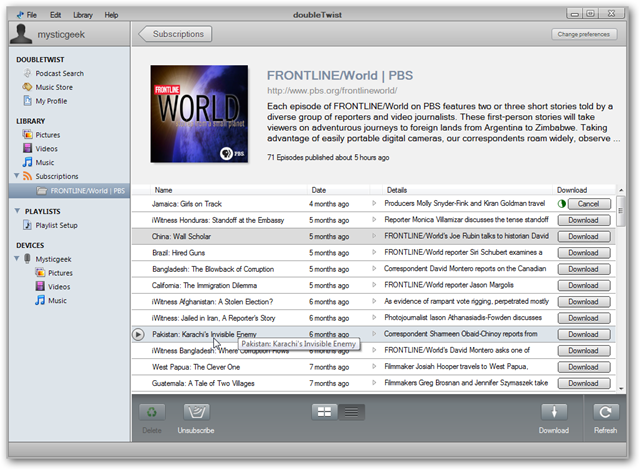 You can easily manage and subscribe to podcasts in the subscriptions section. 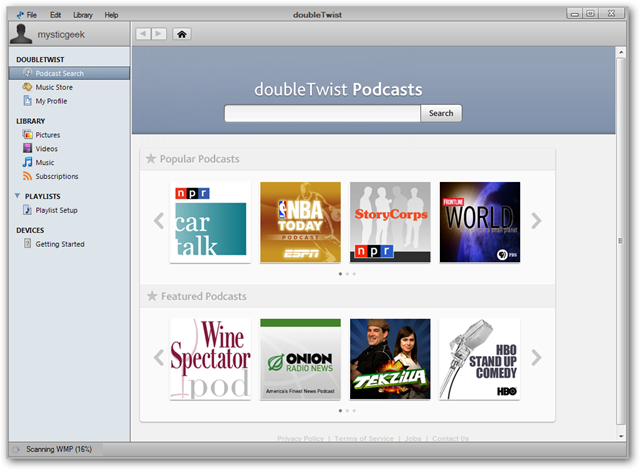 You can watch the video podcasts directly in doubleTwist. 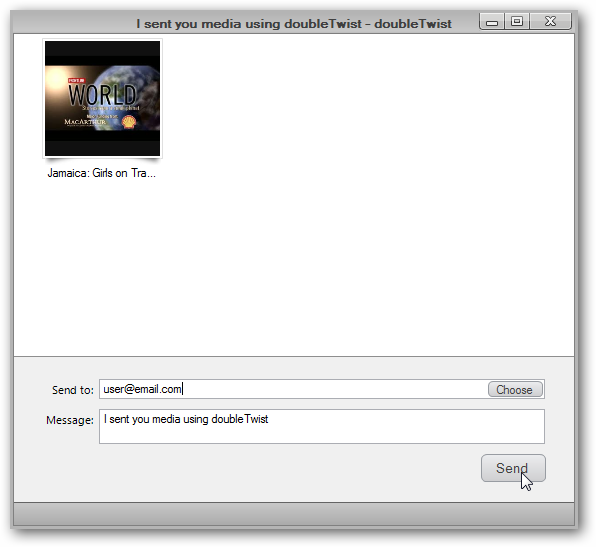 Also you can share digital media with your friends or add it to Flickr and YouTube. 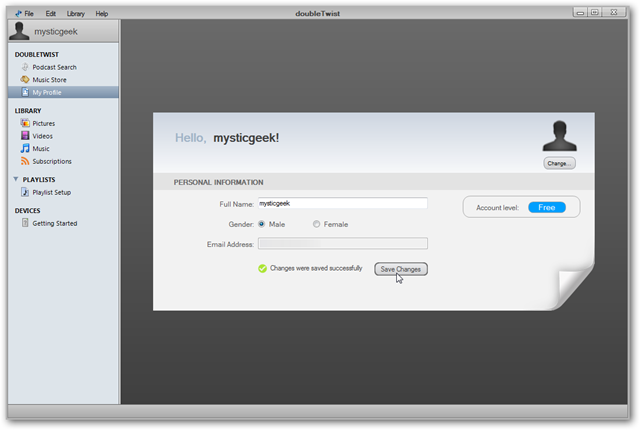 Or access contacts from your Gmail and Yahoo accounts. There is a limit to how much you can send of video podcasts… only the first 10 minutes. 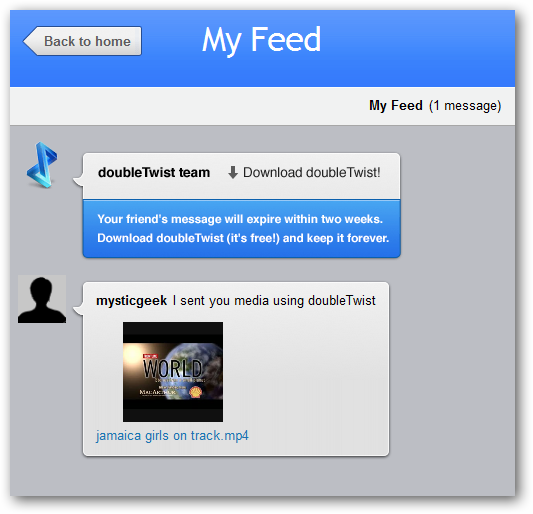 The person you send it to will get a link in their email that points to your My Feed page on the doubleTwist site. 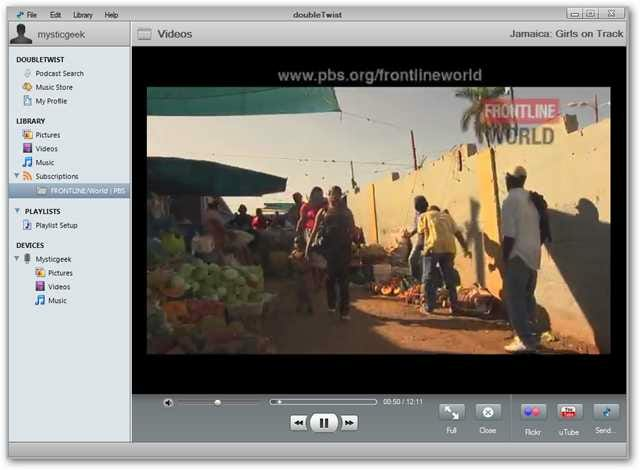 There they can access the media you sent…in this example it’s a video podcast but you can share any media. Under My Profile you can change your avatar and personal information. In Preferences you can choose where media is stored, its startup actions, podcast subscriptions, and manage device syncing. 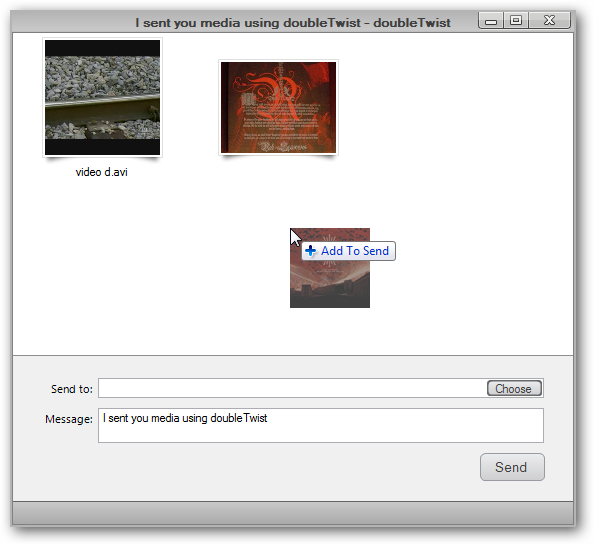 It’s still in beta stage so expect some bugs, but overall doubleTwist is a solid media player that is easy to use with a clean interface. It’s simple and doesn’t try to do too much so is fairly easy on system resources. The main annoyance is it tries to catalog all of your media out of the box. Which may be alright for some users with smaller media collections, but very irritating to advanced users with large collections. Also there is currently no support for the Zune, but according to their forums, it’s on the way. At the time of this writing it’s in public beta and can be downloaded for XP, Vista, Windows 7 (32 & 64 bit), and Mac OSX. 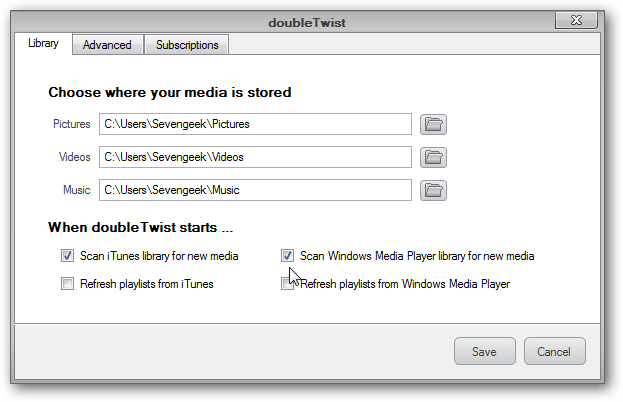 If you’re looking for an iTunes alternative that works with several different portable devices, you might want to give DoubleTwist a try.